Holiday Inn is one of the world’s most recognized hotel brands with over 1300 hotels globally. 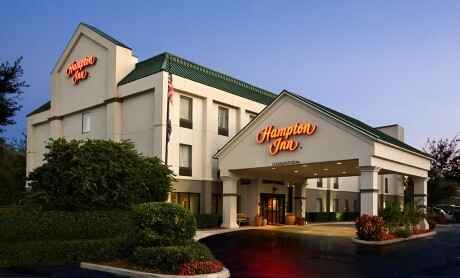 Hampton Inn with over 1700 hotels is a member of the Hilton family of hotels. These two hotel projects were developed side-by-side on the same parcel. ECON designed a 34 room expansion to the existing 88 room Hampton Inn. The old Holiday Inn building was demolished and ECON designed a new 112 room Holiday Inn.